How to achieve 60Hz with external display on Mac? 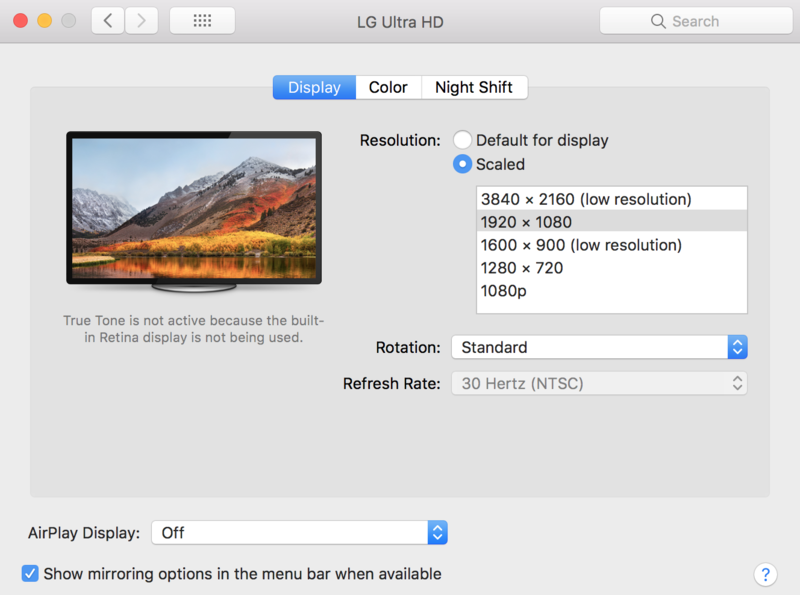 The Mac should automatically set itself to 60 Hz when available. Otherwise you can select 60 Hz from the drop-down titled "Refresh Rate". In your screen shot that drop-down is greyed down, because it only has one option (30 Hz). 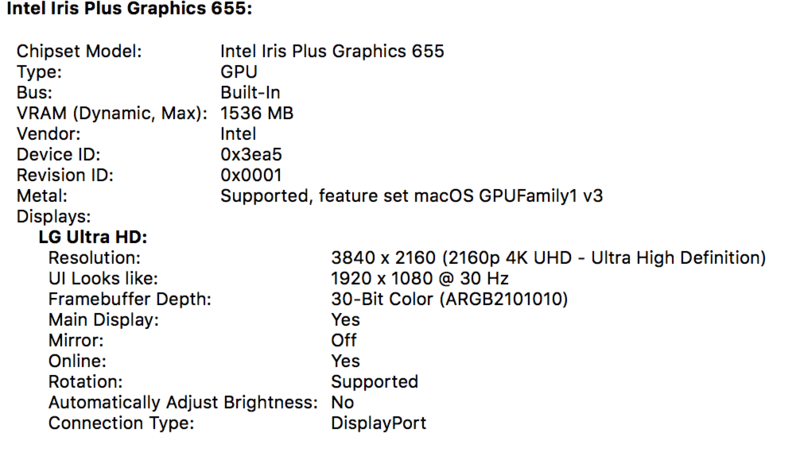 This means that the Mac has not detected that the cable and monitor are cable of 60 Hz refresh rate. As the monitor supports 60 Hz and your Mac does so as well, all points to the cable. Please try again with another cable, and make sure you buy a quality cable that supports bandwidth enough for 4k @ 60 Hz. Not the answer you're looking for? Browse other questions tagged display usb displayport . Can the 2013 13" Macbook Air drive an external 4k monitor?